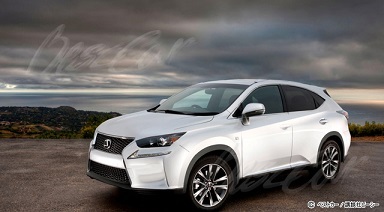 The new Lexus NX will go head to head with BMW X1 and Mercedes-Benz GLA. It is expected to revealed in autumn, during Tokyo Motor Show, and sales should start at some point in 2014 for an estimated price of 3,500,000 yen. Power is expected to come from a 2.0-liter turbocharged engine, badged NX 200t, and a 2.5-liter engine coupled with Lexus' hybrid system, badged NX 300h.